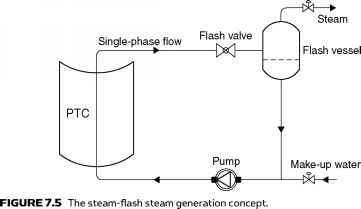 The steam-flash system is shown schematically in Figure 7.5. In this system, water, pressurized to prevent boiling, is circulated through the collector and flashed across a throttling valve into a flash vessel. Treated feedwater input maintains the level in the flash vessel and the sub cooled liquid is recirculated through the collector. capital costs associated with direct steam and flash-steam systems are approximately the same. Although both systems use water, a superior heat transport fluid, the in situ boiling system is more advantageous. The flash system uses a sensible heat change in the working fluid, which makes the temperature differential across the collector relatively high. The rapid increase in water vapor pressure with temperature requires a corresponding increase in system operating pressure to prevent boiling. 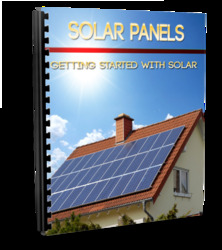 Increased operating temperatures reduce the thermal efficiency of the solar collector. Increased pressures within the system require a more robust design of collector components, such as receivers and piping. The differential pressure over the delivered steam pressure required to prevent boiling is supplied by the circulation pump and is irreversibly dissipated across the flash valve. When boiling occurs in the collectors, as in an in situ boiler, the system pressure drop and, consequently, electrical power consumption are greatly reduced. 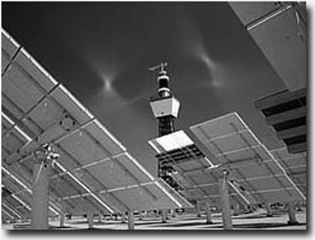 In addition, the latent heat transfer process minimizes the temperature rise across the solar collector. Disadvantages of in situ boiling are the possibility of a number of stability problems (Peterson and Keneth, 1982) and the fact that, even with a very good feedwater treatment system, scaling in the receiver is unavoidable. In multiple row collector arrays, the occurrence of flow instabilities could result in loss of flow in the affected row. This in turn could result in tube dry-out, with consequent damage to the receiver selective coating. No significant instabilities were reported, however, by Hurtado and Kast (1984) when experimentally testing a single-row 36 m system. Recently, once-through systems have been developed on a pilot scale for direct steam generation in which parabolic trough collectors inclined at 2-4° are used (Zarza et al., 1999). A diagram of an unfired boiler system is shown in Figure 7.7. In this system, a heat transfer fluid is circulated through the collector, which is non-freezing and non-corrosive and in which system pressures are low and control is straightforward. These factors largely overcome the disadvantages of water systems and are the main reasons for the predominant use of heat transfer oil systems in current industrial steam-generating solar systems. 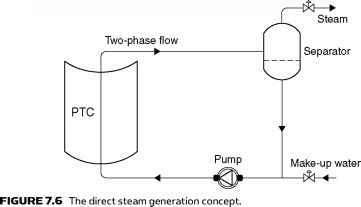 FIGURE 7.7 The unfired boiler steam generation concept. The major disadvantage of the system results from the characteristics of the heat transfer fluid. These fluids are hard to contain, and most heat transfer fluids are flammable. Decomposition, when the fluids are exposed to air, can greatly reduce ignition point temperatures and leaks into certain types of insulation can cause combustion at temperatures that are considerably lower than measured self-ignition temperatures. Heat transfer fluids are also relatively expensive and present a potential pollution problem that makes them unsuitable for food industry applications (Murphy and Keneth, 1982). Heat transfer fluids have much poorer heat transfer characteristics than water. They are more viscous at ambient temperatures, are less dense, and have lower specific heats and thermal conductivities than water. These characteristics mean that higher flow rates, higher collector differential temperatures, and greater pumping power are required to obtain the equivalent quantity of energy transport when compared to a system using water. In addition, heat transfer coefficients are lower, so there is a larger temperature differential between the receiver tube and the collector fluid. Higher temperatures are also necessary to achieve cost-effective heat exchange. These effects result in reduced collector efficiency. It should be noted that, for every application, the suitable system has to be selected by taking into consideration all these factors and constraints.